Welcome to my Nikon D750 review 2019! (With video, sample images and lens recommendations). Considering that it was launched in 2014, is Nikon D750 worth buying in 2019? Nikon D750 still remains to be one of the top-performing full-frame (FX) cameras on the market today. 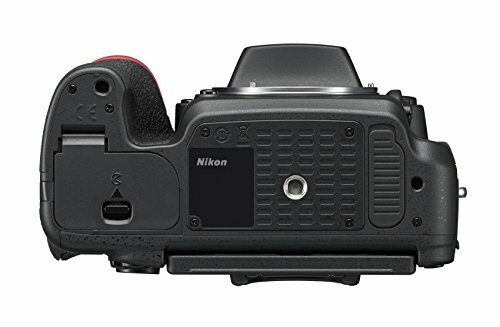 Today, the price of this full-frame (FX) Nikon DSLR is under $1500 (!!). If you’re getting into the professional market, you can’t go wrong with this camera as a start. What’s So Special About This Full-Frame DSLR? A few years ago, a lot of Nikonians were expecting a fast reportage camera at an affordable price and at the same time with an advanced functionality. While Nikon D610 and D810 turned out to be very successful, they didn’t suit everyone. Because for some D610 was too simple, and for others D810 was too advanced and too expensive. 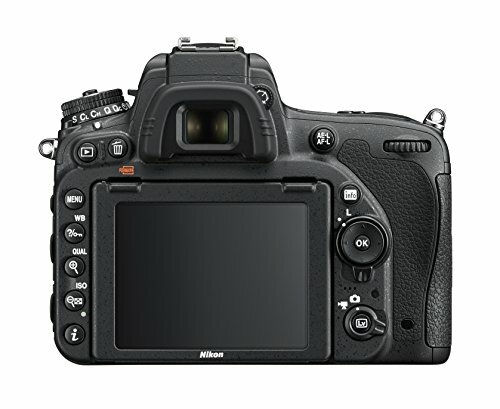 And in 2014, a new DSLR was introduced – Nikon D750. Basically it’s the golden mean, an ideal compromise. Not only is D750 worth buying in 2019 but its price also dropped and now costs less than $1500. In this review, I will try to discuss most important features and characteristics, and share some sample images and a few lens recommendations. This FX camera is pretty light. (To be specific, it weighs 750 g including batteries). If you’ve ever owned Nikon D7100, you’ll see that they are pretty much the same size. 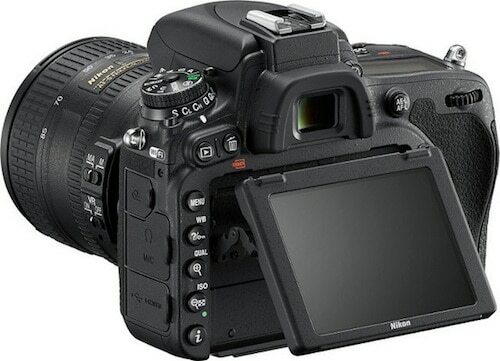 However, D7100 is a crop sensor camera, which makes D750 a very compact full-frame DSLR. What you might really like about this Nikon is that it has a deep hand grip and so it’ll be very comfortable for you to hold it. Tilting screen is extremely useful, especially when shooting macro or certain events. The overall build quality is excellent. The body is made with magnesium alloy and carbon fibre construction and it is environmentally sealed. In other words, thanks to the camera’s solid construction, you’ll be able to work under adverse weather conditions. As you already know by now, D750 has a full-frame (35.9 x 24 mm) sensor with 24 MP. Contrary to current trends, this DSLR has anti-aliasing filter (also called low pass filter). Basically, AA filter helps eliminate the moiré issue. Cameras like Nikon D5300, D3300, D7100, D810 don’t have low-pass filter and this allows to increase detail of the images produced. While image detail is great in D750, some might argue that’s it’s a bit better in D7100 because of the absence of low-pass filter in the latter. Read my in-depth Nikon D7100 review here. It’s important to remember that the pixel density in D750 is much lower, and in this case it’s better to lose a bit of detail than get a higher risk of moiré in the photos. D750 has fabulous dynamic range and IQ. And here some might argue that Nikon D810 is a better option than D750. While I agree that it’s better in many ways, it’s also a lot more expensive (and definitely not recommended for complete beginners). Read my in-depth Nikon D810 review here. The image quality in D750 is fantastic. When you start shooting, you won’t have any reasons to worry about detail. I mean you can take shots outdoors at ISO 10,000 and you’ll have super clean photos. The level of quality in low-light is amazing. Just like most Nikon cameras, D750 has amazing color rendering capabilities. Even if you were to adjust “saturation” in Picture Controls, the images will look vivid without losing its “natural” state. 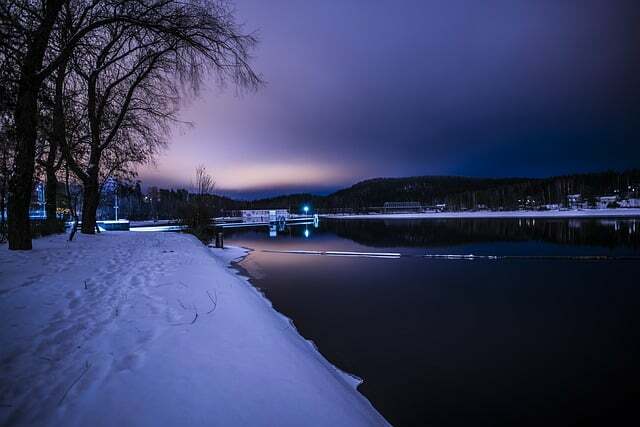 The color of the sky in your images will look natural, just the way your eye saw it during the shooting. Remember that you’re dealing with a full-frame sensor camera. This means that you can play with shallow depth of field (DOF). 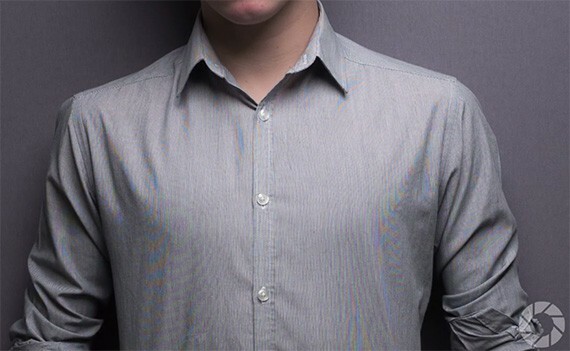 Due to the large size of the sensor, you can achieve a spectacular background blur, even when using a wide-angle lens. You can get beautiful bokeh with almost any lens. The speed and accuracy of autofocus, as well as camera’s overall speed are the things that largely determine camera’s applicability in reportage photography, and for professional work in general. So, here I’ll mention a few points regarding AF. Nikon D750 has a 51 point system with 15 cross type and one of the advantages of it is that it can cover a large area of the frame. (And you can comfortably work with large aperture lenses). It also focuses well in dim light situations. AF-C for shooting subjects that need continuous autofocus. If you were to shoot running dogs or quickly moving kids, you’d have absolutely no problem autofocusing. Also as you can see from the image above, D750 also has U1/U2 custom modes. You can configure one for nature photography with high level of sharpness and rich colors, and the other one for portraits. Given that this camera has 6.5 fps burst rate, it can also work for sports action shots. If you’re looking for the best sports cameras (and lenses) right now, read this guide. Most modern digital cameras that came after D750 certainly have better autofocus in many ways but what what you get here certainly is best value for your buck. I mean you’re getting a nice full-frame DSLR for less than $1500! One of the best photography deals, IMHO. Nikon D750 can shoot video in resolutions up to 1920 x 1080 at a rate of up to 60 frames per second. While video is pretty good, you should know that the autofocus in video is somewhat slow and it has no 4K. (But 1080p is great though). Canon or Sony modern cameras do a lot better job when it comes to video features. While Nikon D750 happens to have decent video features, I believe it’s the best full-frame for still photography. The maximum speed of the built-in flash in FP mode is 1/250. It will certainly affect your battery life. If you’re not in FP mode the speed is at 1/200 which is enough for most cases. Keep in mind though that if you’ll need to highlight shadows under the bright sun, you won’t be able to do so without neutral filter or external flash. Fortunately, the camera has HDR mode, which partially helps to solve the problem of a large range of brightness should you encounter it. Flash supports command mode. That is, without any additional synchronizers, you can control other external Nikon flashes with TTL support (remote control of exposure). Is the 1/4000s shutter a big issue? In my opinion, it’s enough for enthusiast photographers, but for some pros it’s important to have a shutter of 1/8000s minimum. In practice, it isn’t that bad though. You can easily shoot during golden hours with a shutter 1/4000s, ISO 100 and f/1.4 aperture. Nikon D750 has the ability expand down to ISO 50, which you can totally use. Keep in mind that at ISO 50, you’ll have narrower dynamic range (more subtle differences between highlight and shadow areas). What About Its Battery Life? Personally, I always look at battery life. Nikon D750 comes with 1900 mAh EN-EL15 Li-on battery. (Same as in D7000, D7100, D610 and D810). This should be enough for about 900-1100 shots. I’m sure you’ll have even more power if you don’t go crazy with Live View mode and constant transfer of pics via Wi-Fi. You won’t have a situation when you shoot for half a day and the battery just dies on you. I highly recommend you also get a MB-D16 battery grip. If you’re not a pro, I’d say you should keep it simple to start. Try to learn more about your camera and photography in general. The 2 inexpensive starter lenses you can go with are 50 mm f/1.8g and 85 mm f/1.8g. It’s easier to provide lens recommendations if I know exactly what your genre is, your budget, whether you prefer fix or zoom etc. These lenses sure are worth considering. Today, this Nikon D750 offers a great compromise between quality and price on the full-frame DSLR market. And overall it’s a sweet camera to work with. Many photographers will agree with me here. This beauty will work for advanced enthusiasts who decided to upgrade to a full-frame sensor camera, as well as commercial photographers who make a living with photography. Based on what we covered in this review today, it becomes obvious that Nikon D750 is worth buying in 2019. It’s one of the best full-frame (FX) DSLRs you can get for your buck. ==> Get it from Amazon here. Over to You: Any Thoughts and/or Questions? Have you had any experience with this camera before? Based on your experience, do you agree that Nikon D750 still works for 2019? What is your skill level and favourite photography genre? 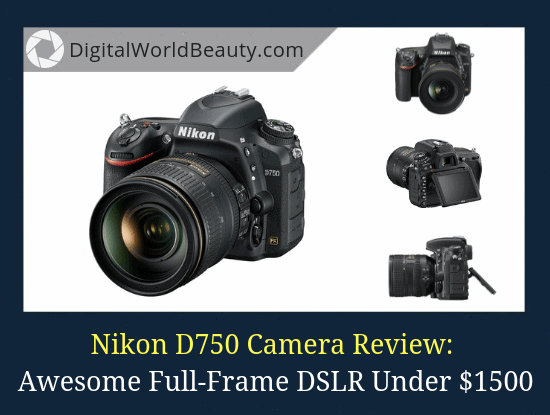 Thank you for reading my Nikon D750 review! I encourage you to share your questions, concerns and/or suggestions in the comments below. Click here to jump straight to comment section. Amateur here. Been using Nikon D3200 for about 5 yrs and now I feel like I want something more. Seems I’ve outgrown my camera and am ready to upgrade my dSLR. I’m doubting between D7500, D750 and Canon 6D II. What’s your advice? Which one is better? I shoot a variety of subjects… landscapes, some events, night sky, portraits etc. Not for commercial purposes but for my own pleasure. Canon is good but wouldn’t say it’s better. It’s totally different from Nikon cameras (guess I’m stating the obvious) and you’ll have buy at least one lens with it. Take a look at the Nikon lenses you already have. If they are marked with letters DX, then you should go with D7500. Anyway, if you don’t have DX lenses, then you can consider D750. You can buy it with the kit lens and I think you’ll be pleased with the results. With the D750, you can still use DX lenses, as long as it has the same mount (which it should), and it will use a “DX Crop mode” giving it the capability to use these lenses with no vignetting. Thanks for clarifying this bit, Beck. Appreciate your input! Curious, what advice would you give Rob? D7500, D750 or Canon 6D II considering his photography style? To answer your comment earlier… I have kit lens 18-55 dx and 70-200 dx. 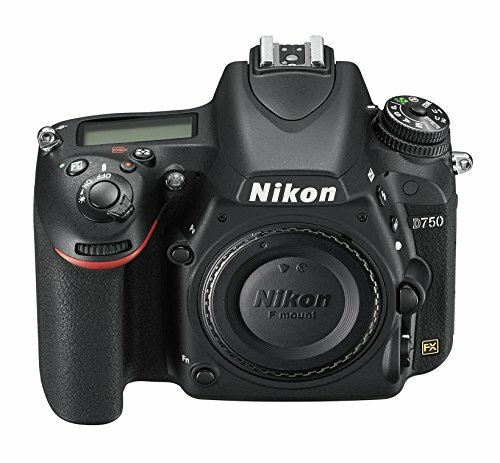 I’m most worried about Nikon D7500 vs D750. If I take the D7500 based on the lenses I currently have, will I sacrifice the level of quality by giving up on D750? Do they differ a lot? Or maybe I won’t feel the difference? Who knows? Here’s the matter: only YOU know just exactly where you’ve outgrown the capabilities of your current DSLR, and only you know what you want to expect in a new camera. It all depends on what and where you are shooting. Nikon D750 might better suit for landscapes given its element of plasticity of the images. And in reportage photography, D7500 might be a better choice given its higher burst mode (continuous shooting). Besides, maybe it’s the lenses that limit your photography. In any case, when making camera-related decisions you should consider what is it that you shoot, where you shoot and what you shoot with. Sony IMX128AQP – this is the sensor that you’ll find in Nikon D750, D600 and D610 (same one on all 3 cameras). Indeed, D750 is better than D610 when it comes to image noise but this is likely because of the in-camera noise reduction. But the fact is both cameras perform similarly, whether it’s portraits, sports, landscapes, street photos, or just daily photography. Keep in mind that the difference in autofocus is more significant especially when it comes to shooting in low light. Having both D750 and D610 as well as Canon Mark 3, I can confirm that you can work with all 3 about the same way thought Canon also doesn’t do well in low light – this is where Nikon D750 shines. Frankly Canon has a disgusting dynamic range. It’s not even close to D610 or D750. Image noise… Something to note is that if try to pull shadow detail from raw files in Canon you’ll see a LOT of noise that’s pretty much impossible to get rid of. Different story with Nikon DSLRs – they do a lot better of a job here. Nikon cameras have a wider dynamic range just a bit but… BUT!! If you shoot at high ISO right away instead of using low ISO and then trying to pull shadow detail etc, then the 5D camera sensor will give out similar results as D750! It’s a fact and because of that Canon becomes a great working tool. There’s also 1 point that most people tend to overlook.. a pixel-level sharpness in cameras. M3 is great in this sense a lot better than D750 or D610. Here only D810 can be compared with Canon 5D III. And this is one of the most important things when you do real photography job! In my opinion if you’re choosing your first camera then you can go with D610 and an absolutely beautiful Nikon 28-300 lens for less than $1000. I also have Canon 28-300 lens, it’s beautiful, friendly and efficient to work with but 1.7kg + 1kg camera + huge dimensions have their own limitations. And the price is like 3x more expensive than Nikon lens. Certainly a huge difference! Thanks so much for sharing your experience and your opinion. I’m sure others will benefit from it. 1) The sensor in D750, D600, D610 might be the same but the skin tones are different and they are not in favour of the latter two. 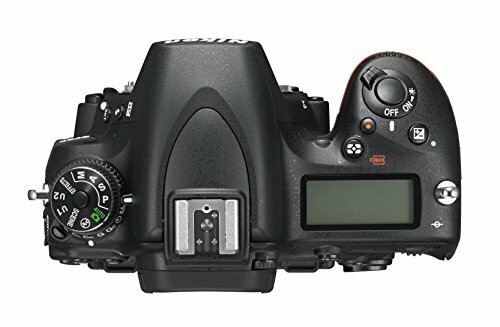 If you use the comparometer here and compare reference images from DSLRs side-by-side, you’ll see the differences in images. 2) Canon 5D III certainly is on par with Nikon D810. Can’t argue with that. 3) Out of all cameras mentioned above, I’d likely go with D810. BUT… I definitely don’t recommend it for total beginners in photography (I explain why in this review of mine). Once again, thanks so much for leaving such a wonderful comment, Tom. Clearly you know what you’re talking about! Hi Zarina, excellent review! Do you think there is a difference between the D750 and D810 in ISO 100 vs ISO 64 (dynamic range). I like to shoot Landscapes mostly and i don’t know if that difference in base ISO makes a difference. Right now the difference in price between those two is $400. Well, first of all, having D810 at ISO 64 means that you will more light in the image, more dynamic range and less digital noise, especially if you were to shoot in low-light conditions. Now, while image quality/DR is better in D810 at base ISO, D750 is known to perform very well at very high ISO values. Reducing base ISO from 100 to 64 further improved dynamic range in D810, combine it with awesome image sharpness and resolution and you have yourself a dream DSLR for various photography genres. If you’re fairly new to photography, don’t buy D810 as it’s way too challenging for beginners. I give my honest opinion about this camera here. So, how to choose between Nikon D750 vs D810? Landscape photographers (with experience) need high resolution and dynamic range, so they’ll likely lean towards D810. That is, if you want an uncompromisingly high image quality. But if you’re looking for a lighter, smaller and cheaper DSLR, then D750 is a great choice too. Basically, professional photographers choose D810 and D750 is more of an all-around camera at a cheaper price. I hope this answers your questions/concerns Martin? Zarina! sorry for the delay! Finally i got a D810, i had some experience with cameras so i feel very comfortable with it. The more proffesional body of the D810 it’s incredible, the only thing missing is the tilting screen of the D750 (kudos the D850 for that). My girlfriend got a D750 so i can compare them first hand and the highlight of the D810 is the number of pixels. 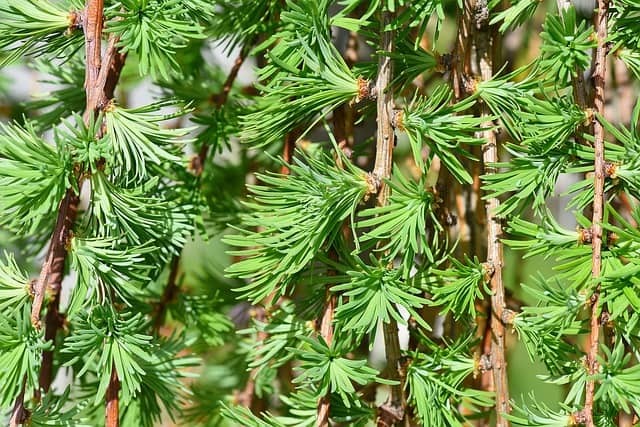 You can crop a lot more without losing sharpness. In the dynamic range department i don’t see a considerable difference between the two, also, i always shoot in ISO64 (i do landscapes most of the time) but when we shoot in high ISOs you can tell the difference (i suppose the less megapixels from the D750 help in that matter). Well, sorry for my english, it’s not my primary language so i couldn’t do a more thorough review. Good to hear from you! Your English is actually great, I perfectly understand you. Thanks so much for sharing your thoughts on both the D750 and D810, other website readers will benefit from your comment as well. Especially if they are in the similar situation/same photography genre as you. I agree with what you say in this review, I recently got D750 and I love it. Landscapes and portraits are my thing. Does a great job with low light too. What I don’t understand is how do I turn off bracketing?? I’m forced to snap 3 images (and all 3 shots come out with different exposures.) I tried to search online but couldn’t find the answer, hopefully you know the answer? Yep, it’s a sweet camera indeed. Congrats on your purchase! To turn off bracketing, press the Fn button and rotate the main dial (the one under the thumb from the viewfinder side) until the number of shots in the bracketing sequence is zero (0F), and the M symbol is no longer displayed on the control panel of the camera. Good luck and have fun photographing! Hi Zarina, good review. I own a D750 and am happy with how it performs. I use it for photographing tennis and also for photographing press conferences and action at Parliament House here in Canberra. “burst rate up to 6.5 frames per second” – I never get close to that rate. I don’t know if it is due to settings or what the problem is. Good to hear from you again. I responded to your other comment on sports photography article but somehow I missed this one (don’t think I got email notification for the second comment.) Not sure about the burst rate in your case, to be honest. Before you mentioned you were doubting between Nikon D5 and Sony a9. Have you decided to continue using D750 for now and upgrade later? Initially, I responded to your question thinking you were talking about a7R III, not a7 III. It’s night time here, so forgive me for inattention. I will leave the response about a7R III anyway and add a paragraph about a7 III. The image quality is pretty much the same, ISO is slightly better in a7 III and the autofocus is better in Sony. While both are great, a7 III is slightly better. Especially with portraits and weddings due to its eye autofocus that’ll increase your hit rate on the eyes (but you’ll need to spend some time setting up the AF system). Truth is, the a7R Mark III is the best mirrorless camera on the market. Actually, it’s what I recommend for landscapes and portrait photography. But they work well in any other genre too, weddings included. Without a doubt, many photographers will suggest you go with the Sony camera as there are a lot more advantages to it than D750. It’s more compact, has more detail, sharper images, more features and overall offers more value for money (especially considering that you’re getting it at the same price of D750). And you could certainly work with 85mm f/1.8 lens for wedding photography (specifically bridal portraits and group shots). Over time, as you grow as a wedding photographer, you can upgrade to 70-200 f/2.8 lens. It’s a must lens for wedding ceremonies, especially when shooting inside a poorly-lit church/your religious institution. In the meantime, you can work with the camera you already have.